Twice a year, Meg does a fabulous job hosting one of the most fun challenges in the blogger-net. 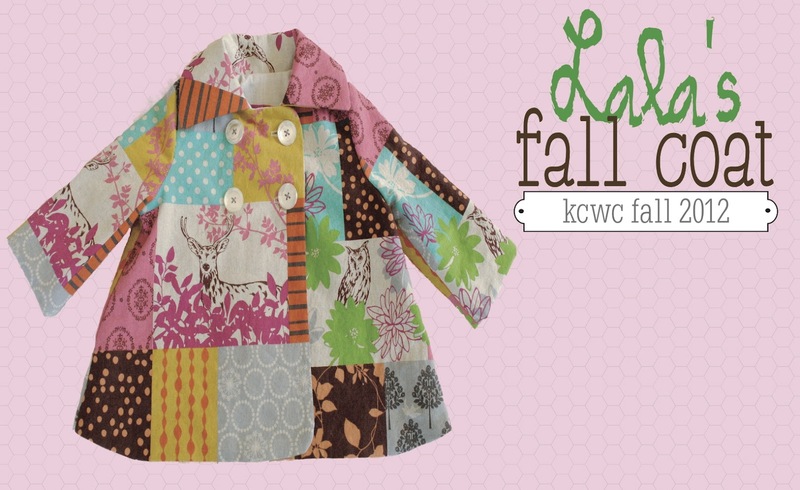 This fall, I decided to take a stab at making a coat for Lala and man-oh-man... can I just tell you how much I am in LOVE. Lala was a trooper taking pics. Fall isn't quite here yet. She managed to wear the coat just long enough for me to take some snaps. When fall does decide to get here, look out! With this jacket, some boots and a scarf... she'll be the cat's meow on our block! Thanks Casey! OH my gosh... have you seen the Flickr group? SOooo many beautiful things. Can I just tell you, your Halloween bats and beanie with the eyes gives the biggest smile!!! Love - LOVE LOVE LOVE LOVE LOVEEEE IT@!!!@!@! You make me smile! Thank you!!!! So adorable! Looks like a simple little pattern. 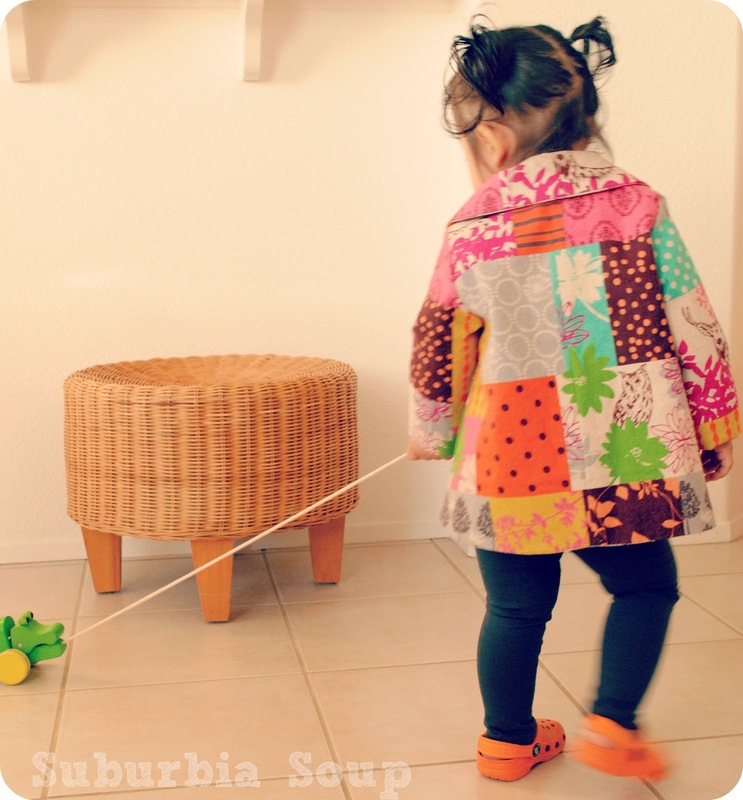 A sweet little coat is on my list for this week too! You've inspired me! Yay! I'm happy to inspire you! This pattern is one of the easiest I've tried. I highly recommend it. Have fun and I'd love to see what you make! Soo cute. Great job. I love that fabric! I absolutely LOVE this little coat! I want something like that for myself. This is really inspiring! Mind if I share a photo of Lala's coat on my KCWC faves post on Monday? Just found your blog via kcwc - this coat totally rocks - I want one! 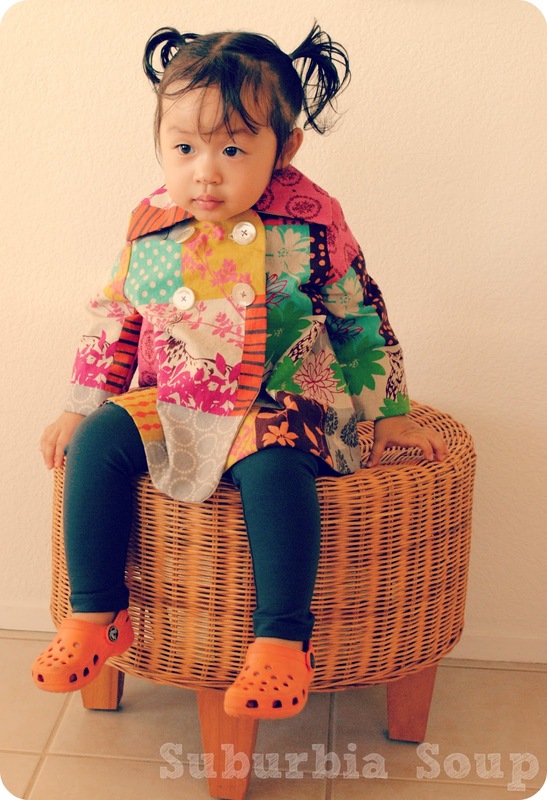 Not doing challenge this time as just did a big sewing binge for my girl a few weeks ago but loving this inspiration . Holy cow Venus! I love love love it! And the fabric is so incredible! 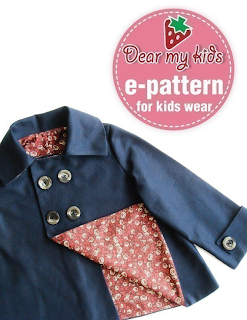 I wonder if it could be modified (the pattern) for a little boy? Girl stuff is so cute!